A floor is a giant canvas stretching through your entire house. It can affect wall color, mood and even inform us as to the function of the room. Custom cutting tiles or wood can create the most intricate patterns, logos and artwork. 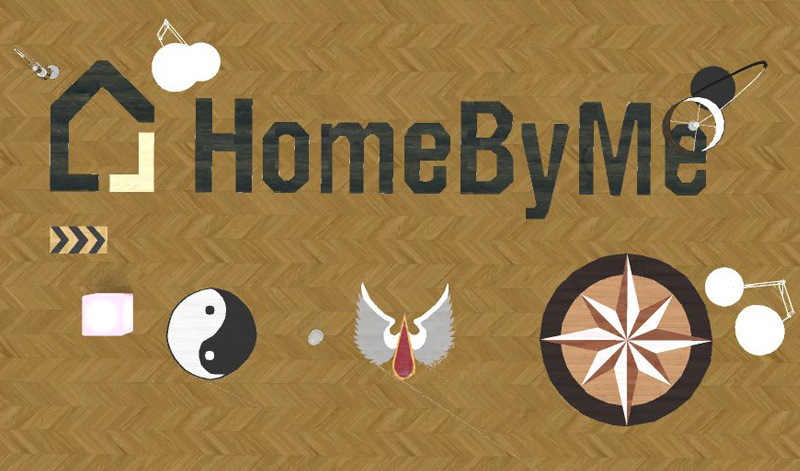 In HomebyMe you to can be as creative as you want with your floors, up to an including custom artwork! Seeing the image above you must be wondering what kind of additional skills you need to create anything specific. The truth is you don’t need any special skill or time invested to create unique shapes in HomeByMe! All you need is an image to trace and the ground separator tool! 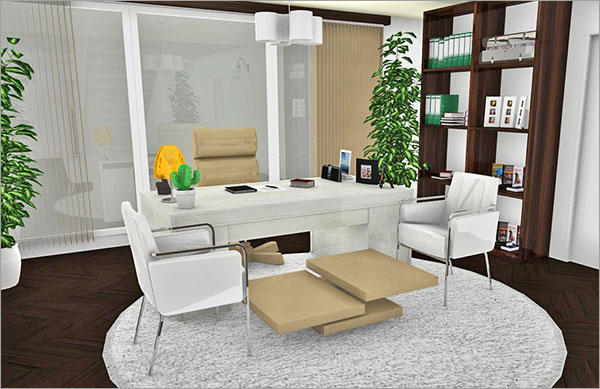 Congratulations to planiranjedoma for winning the May HomeByMe Project of the Month! “Luxury” house 😉 is true to its title. Every room is enormous and filled with the top notch furnishings and decorations you would expect. As you enter the home, you’re greeted with a grand stairway with a surprise behind it – a fully appointed beautiful home office.